Not everyone has the same taste in décor. Some of us like more subtle and calm pieces, while others of us like things that are abstract and eye-catching. If you like decorative pieces that are more non-traditional, then this is the project for you! 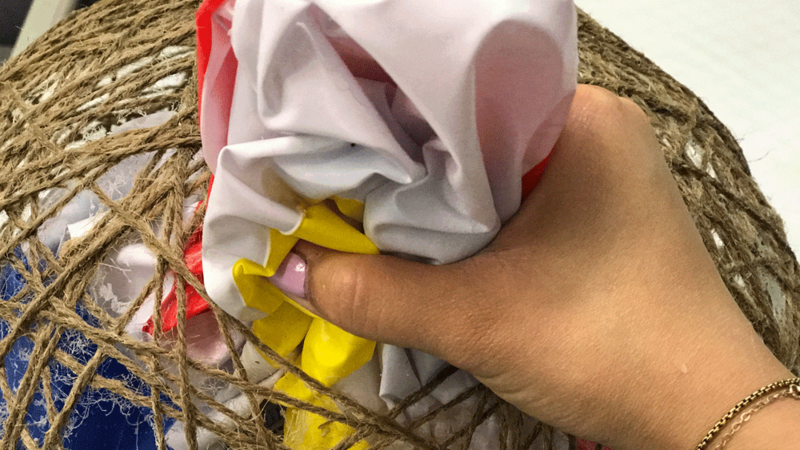 First, take the beach ball and inflate it. This becomes the shape of your lantern. 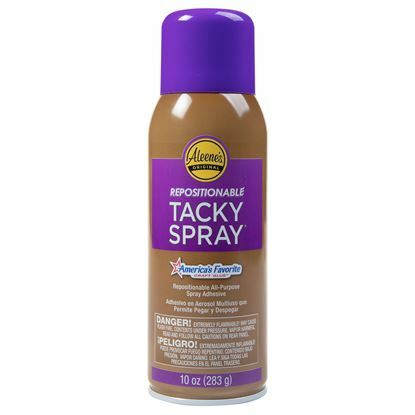 Once the ball is inflated, take the Tacky Spray and spray it all around the ball. Take the twine and start wrapping it around the ball. There’s no specific way to do this, so wrap it however you want your lantern to look. 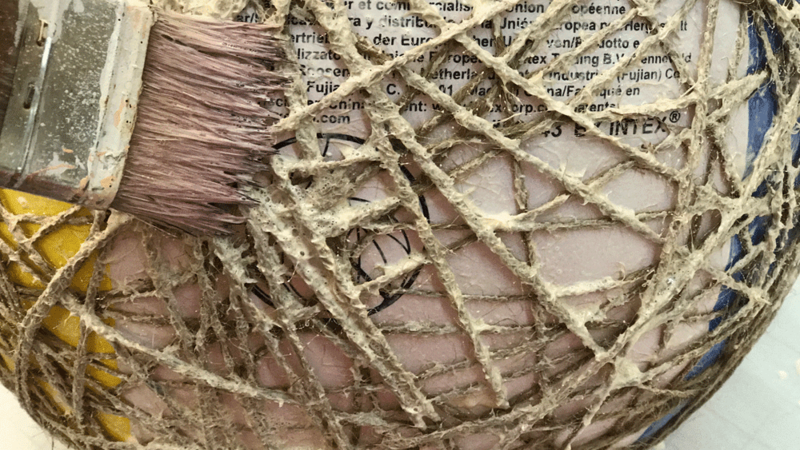 Now that you’ve wrapped the twine, take the wood glue and brush it over the twine. This will keep the shape in place. Wait 24 hours for the glue to dry completely. 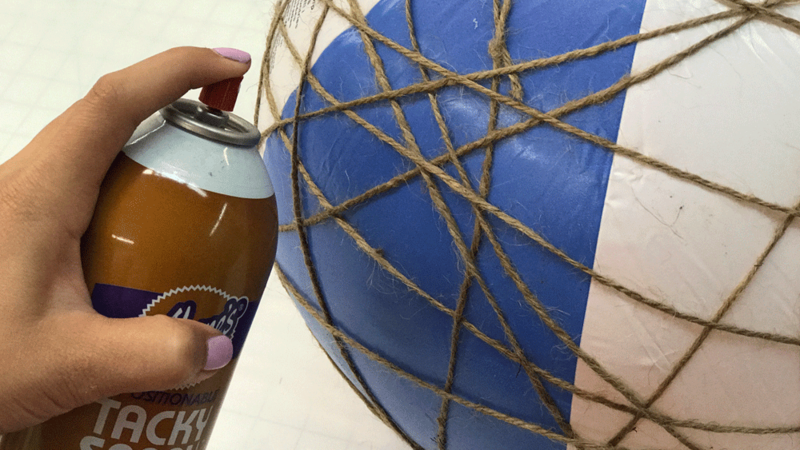 Once the glue is dry, the twine should stay in the shape of the sphere. Now deflate the ball and pull it from the twine. 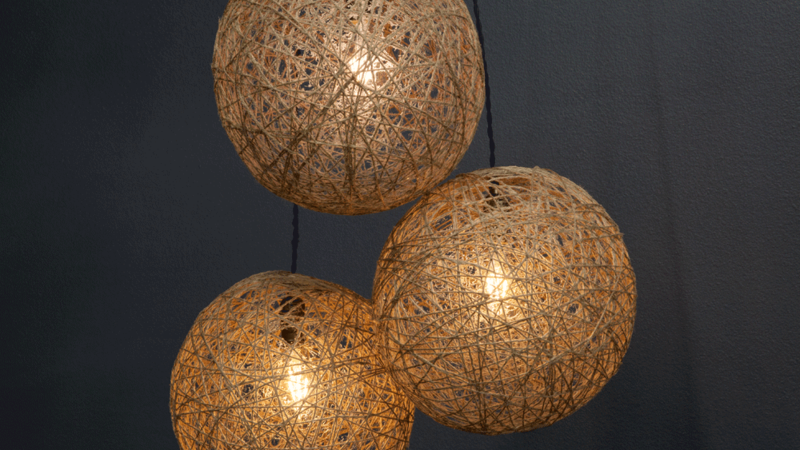 Then place the light inside the sphere and hang it. We recommend making a couple of these to create a full piece. 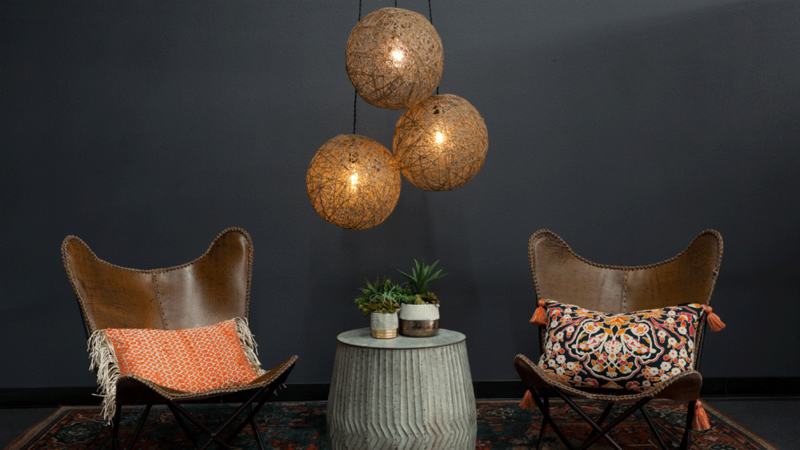 Not only will these lanterns fill any room with warmth and light, they are sure to have everyone admiring your creativity.